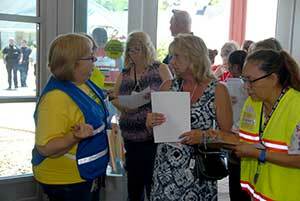 The Emergency Response department organizes educational events for area first responders and residents. 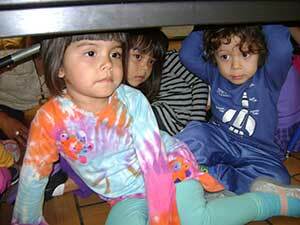 Read about earthquake drills the Emergency Response team held for area youngsters. Informed and alert communities play a critical role in keeping our country safe. The "If You See Something, Say Something™" campaign engages the public in protecting our homeland through awareness–building, partnerships and outreach. The Cook County Department of Homeland Security and Emergency Management (DHSEM) is committed to strengthening security by creating partnerships with state and local governments, transit agencies and the private sector and, most critically, the communities we serve. Information gathering: A person questioning individuals beyond simple curiosity about a building’s operations, security, shift changes or personnel. No, it wasn’t really an Anthrax release in last June at the South Clinic. It was an exercise in distributing medicine and medical supplies during a public health emergency. In the event of such an emergency it’s important for our staff to be prepared. In coordination with the Illinois Department of Public Health, a test of the ability of the state public health system to receive and distribute medical supplies from what is called the Strategic National Stockpile was held. 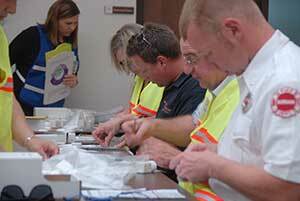 During the simulated Anthrax release, “victims” were in fact volunteers from the Stickney Township staff. 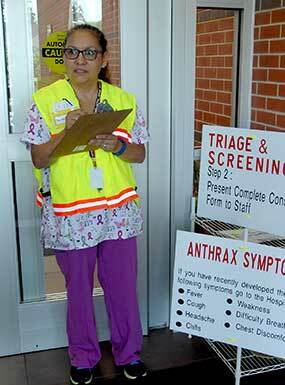 “The anthrax attacks in 2001 and the 2009-2010 H1N1 influenza pandemic highlight the importance of being prepared for various health threats,” said IDPH Director Nirav D. Shah, M.D., J.D. “And that preparation requires continual and coordinated efforts between all levels of government, the private sector, non-governmental organizations, and individuals.” The exercise allowed the identification of any gaps in plans to quickly distribute medicines during such an emergency. Stickney Township and Stickney Public Health District work closely with Federal, State and local agnecies to coordinate emergency planning. In 2015, the Township welcomed emergency response planners from around the country to a FEMA Region 5 Medical Countermeasures Planning conference at the Louis S. Viverito Senior Center. Representatives from FEMA, USDA, Department of Defense, CDC, the US Public Health Services, Department of Justice, Illinois and Indiana Departments of Public Health along with numerous local public health and emergency management agencies from Illinois, Indiana and Wisconsin were in attendance. 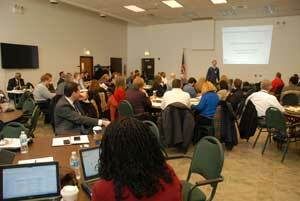 All the attendees were impressed by the facility and the services provided by Stickney Township. As part of this planning process, the Stickney Public Health District plays a key role and works to ensure that the it is prepared in the event of a public health emergency. A major emergency may quickly overwhelm our responders. The first response to any disaster is local response. Volunteers may be called upon to assist emergency workers during an emergency or disaster. Stickney Public Health District has formed a Medical Reserve Corp (MRC) for Stickney Township. The Stickney Township MRC is intended to enhance Stickney Township’s emergency preparedness and public health response capabilities by organizing and training volunteers to assist our communities during emergencies and in public health initiatives. This year we encourage you to make the commitment to help your community when it needs you most. Let’s prepare today for what we may face tomorrow. Who can volunteer for Stickney Township MRC? You must be 18 years of age or older and able to pass a criminal background check. We encourage medical and nonmedical volunteers from all disciplines whether active, inactive, or retired to join our MRC. Volunteers may include: Physicians, pharmacists, nurses, EMTs, dentists, mental health professionals, medical technicians, aides, homemakers, medical students, inventory control/ information technology specialists, teachers, persons who are bi-lingual, CDL drivers, clerical staff and anyone else who is willing to serve their community when it needs them most. Volunteers may be asked to assist during emergencies especially in the distribution of medications and vaccines and in sheltering special needs populations. 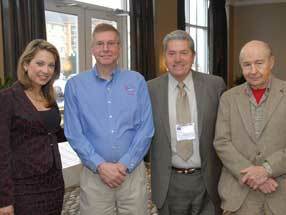 Volunteers may assist with public initiatives and ongoing community health outreach programs. Volunteers will not be asked to participate in any task they do not feel comfortable doing. 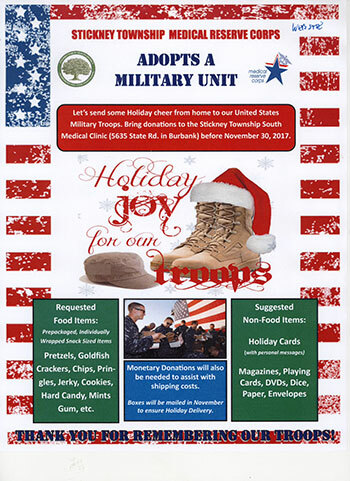 Volunteers could be asked to assist in their communities or within Stickney Township. We may ask our volunteers to assist in areas outside of Stickney Township if an emergency occurs. Volunteers have the right to determine where and when they are able to assist. Will I be paid to volunteer? No, all volunteer work is unpaid. Your contribution of time is valued and Stickney Township MRC appreciates your commitment to serve your community. What is the time commitment for being a MRC volunteer? We are asking volunteers to attend as many trainings and meetings as you can. What type of volunteer training is required? A basic level of training is required for each volunteer. Stickney Township MRC Volunteers must attend a MRC 101 orientation and complete two online independent study courses on FEMA’s National Incident Management System. Volunteers may attend additional trainings if they wish to further develop their skills. Where can I receive more information about the Stickney Township MRC? You can receive more information by contacting Patricia Kulikauskas, Emergency Response and MRC Coordinator by phone at 708-424-9200 ext 172 or by email at pgonzalez@stickneyph.org. This past spring, Stickney Township Emergency Response teams participated in a medical emergency exercise. In this case it was a simulated Anthrax outbreak. Select Township staff portrayed "victims" presenting with a set of scripted symptoms, while others joined with local first responders to dispense appropriate medication. 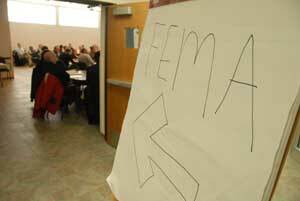 More than 150 representatives of regional emergency preparedness agencies visited Stickney Township to attend a FEMA conference hosted by the Township in 2015.